You can obviously change the sentiment and Ink Refills to create an entirely different look altogether. 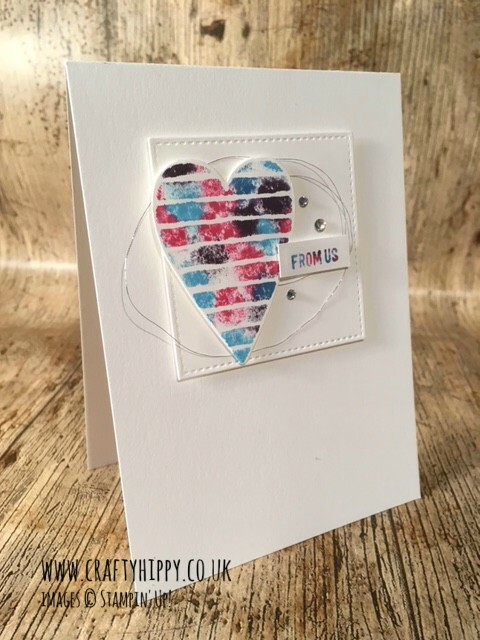 This is such a fun project, and creates a beautiful, professional-looking card. Perfect for any occasion. If you have any questions about this project or Stampin' Up! craft products don't hesitate to contact me on the email address at the top of the page. I'll be back tomorrow with another stampy idea.